It’s your Junior year of high school. This is a big year for you! Your life is about to change, as college hovers on the horizon. Be excited! You’re about to make new friends and explore an array of new areas of study. You can, literally, set a new direction for the course of your life. 1. Register for an SAT Prep Class. General Test Scores aren’t the be-all, end-all, but they do count for something. Studies show that students who retake the SATs score higher each time. Start out strong right from the beginning with a prep course that will help you understand certain theories behind mastering the SATs, as well as provide plenty of sample tests. 2. Consider where you want to live. Do you want to stay close to home? Maybe commute? Or, do you want to try somewhere new? Explore life in a new state? Do you want a large campus with numerous activities or a small campus with smaller class sizes? Look all around. You may never have another opportunity to live anywhere, and just focus on one major endeavor: making it to class on time (and completing those assignments on time). The rest of life will be work, work, work. Where do you want to settle into this happy, four-year chapter in your life? 3. Tour campuses you’re seriously interested in. Like anything else, things always look quite different in-person than online. Go off on the weekends. Take your folks along for the ride. Try a few campuses on for size. Oh, and while you have the attention of willing campus tour guides, inquire about their majors. See what they chose, and how they like it. 4. Research independent scholarship opportunities. I’ve known students who have turned down the opportunity to attend prestigious private universities because they simply couldn’t afford the $60,000/year price tag. Don’t let this hold you back! Would you believe you can receive a scholarship just because you’re of Norwegian descent? Yup. It’s true. You have to research, but there are scholarship opportunities out there for everyone. Call upon the expertise of McCatty Scholars. They’ll quickly understand your background, experience, accomplishments, and help guide you toward organizations that are just waiting to contribute to your pending collegiate success. Don’t even hesitate! 5. What are your interests? Contemplate your strengths. A fellow Professor once told me that, if we think back to about the fourth grade, we’d be surprised to see that we’d already developed natural inclinations by then. Perhaps we were bookworms and loved to read/write. Perhaps we performed well on sports teams and had managerial tendencies – yup – even at four feet tall! Many colleges are known for one degree program or another. One university might have a well-known business school. Another might have a world-renowned nursing program. If you happen to have a sense of your direction, pay special attention to your prospective schools’ reputation for that particular major. All this being said, fear not. Not everyone has declared their major in their Freshman year. This takes a little more exploration for some. Buy an old-school spiral notebook. Or, create a new note on your iPhone/Android. Start listing out where you want to live and what majors you might like to explore. Schedule those tours! While all this is going on, reach out to the experts at McCatty Scholars. You’ll never be able to thank them enough for the hundreds of thousands of dollars they helped you save! 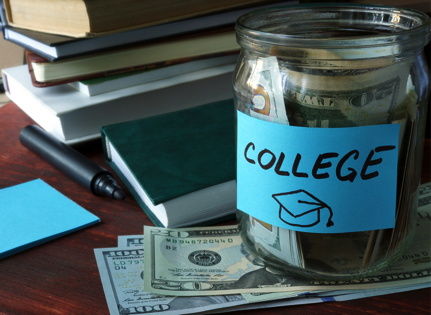 A life without student loan debt is definitely a life worth pursuing! Professor Kittelstad is a Freelance Writer and Adjunct Communications Professor who has been proofreading and editing writing pieces for ten years. She also crafts higher education and lifestyle blog posts for businesses, increasing their online visibility with a special blend of artful articulation and professional pizzazz. Any afternoon spent away from her red pen and MacBook consists of sunny strolls down the oak-lined streets of Savannah, or a beach chair nestled in the glow of the Atlantic shores.